Imagine an RV park nestled among the trees beside an idyllic, slow-moving river. Well, it’s here in Hocking Hills, OH! 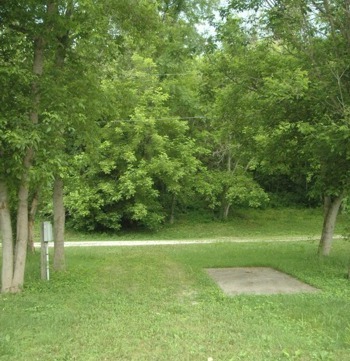 Campground is within walking distance to Canoe Livery, ¾ mile to Kroger's, 2 miles to Lake Logan, 10 minutes to zip lining, 11 miles to Old Man's Cave, 2 miles to restaurants and shopping. 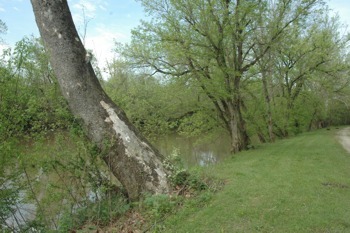 All sites are in a straight row along the Hocking River. Shower House is closest to site #15. ALL SITES ARE ON THE RIVER. All sites have fire rings, picnic tables, 30 amp electric. 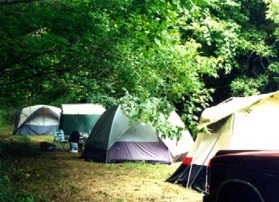 Shower house is in the middle of campground. Water spigots are on each end of campground. Dump station is located on one end. Picnic pavillion is in the center of campground. Super cute 2016 23' Gulfstream Vintage Cruiser for sale. Asking $16,899. 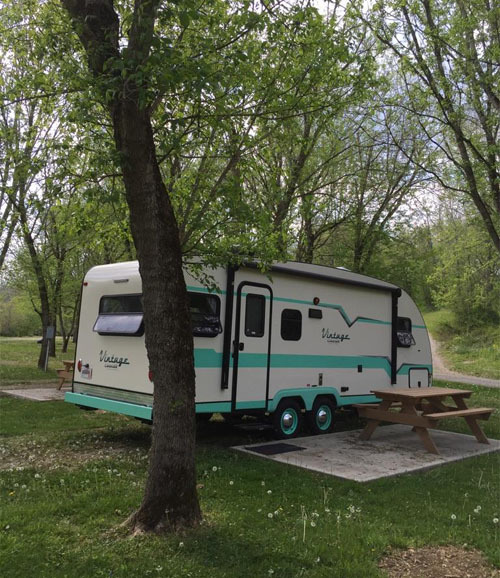 Hocking River RV Park offers 29 spaces with electric out in the country but close enough to town and just minutes to Old Mans Cave, Ash Cave, Cedar Falls and all the other Hocking Hills natural wonders. Hocking River RV Park is the perfect spot for you to set up your “base camp” before you go off exploring caves, hiking, observing natural wildlife or even zip lining. 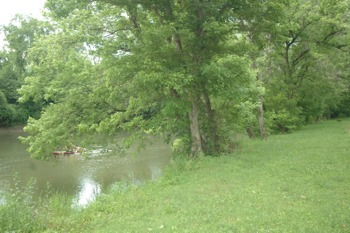 Or maybe you’ll just want to stay put and enjoy swimming, tubing, fishing or kayaking on the river. Our family recently stayed three nights at Hocking River RV Park. We found the park very clean and relaxing. The sites are flat and the concrete pads make for easier clean up. The new shower house was very clean and assessable. The sites are close enough to the river to watch the canoers. 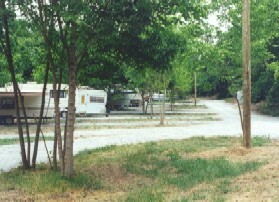 The campground is small and quiet but offers all the accommodations you need. We would recommend Hocking River RV Park to anyone wanting to visit all the local attractions or anyone wanting to sit and relax at the camp ground. It's a beautiful place nestled in the trees. We have already made our future reservations. Can't wait to go back ! Rate is based on 6 guests. Additional $5 per person for more than 6. Holidays there is a 3 night minimum. Call for Monthly or Seasonal Rates. You may cancel up to 2 weeks from arrival for a $10 fee. No refunds given if cancelled 2 weeks from arrival date. © 2009 All rights reserved Site designed and hosted by American Dreams, Inc.